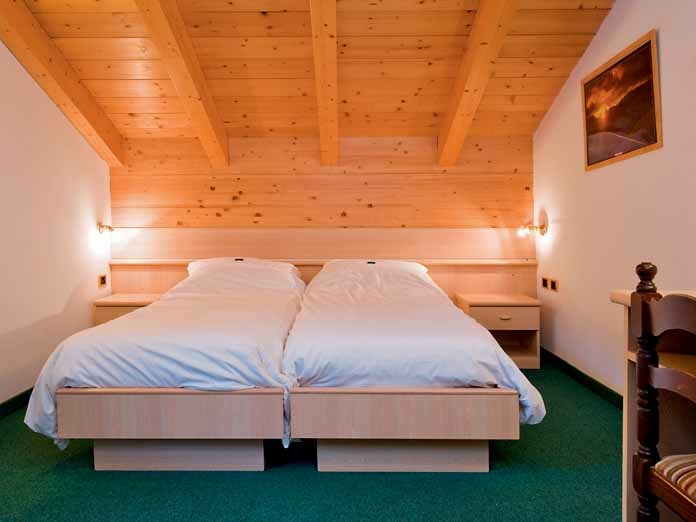 Our view: Impressive modern chalet which is a firm favourite with families. 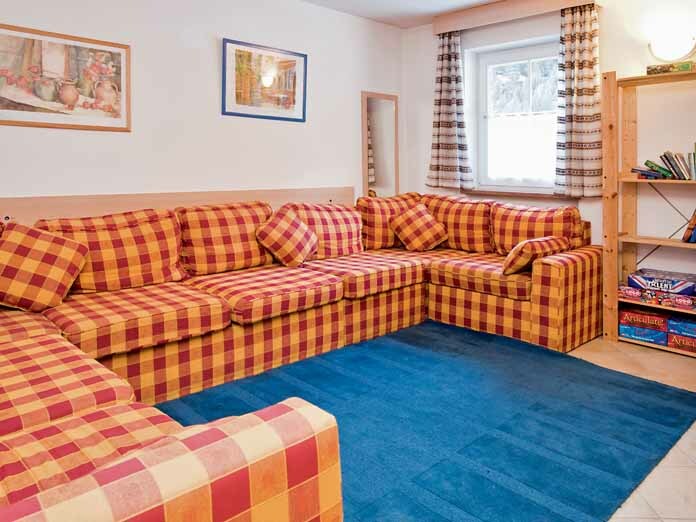 The Chalet Traviata, known locally as 'L'lache', is well located for accessing the vast Sella Ronda ski area. 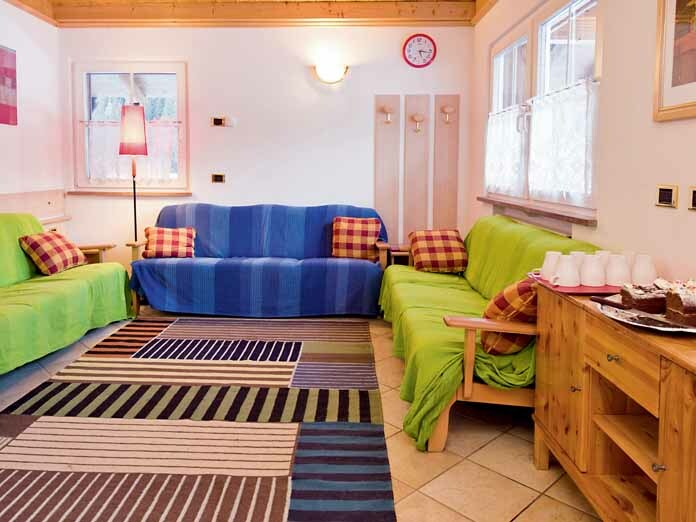 In a quieter location in Canazei, it has many great facilities and has the Chalet Violetta located next door. 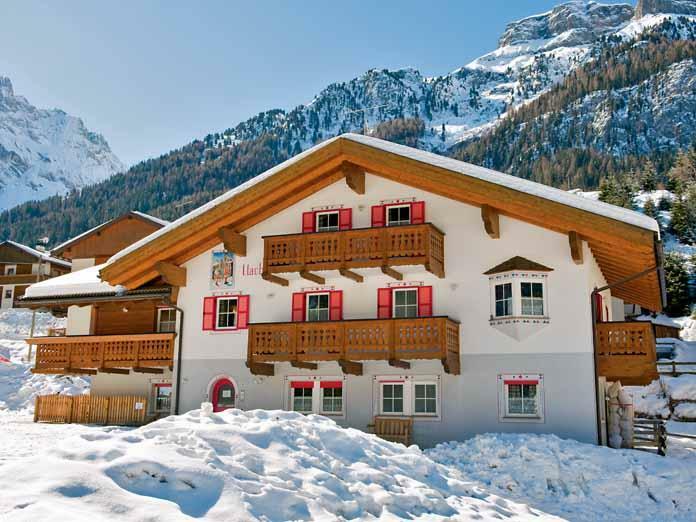 This high standard chalet is a favourite amongst our guests, with many returning year after year. Three twin rooms with private shower and WC (1, 3 and 4). Twin room with private short bath (with shower attachment) and WC (2). Twin room with extra bed, private shower, WC and balcony (7). 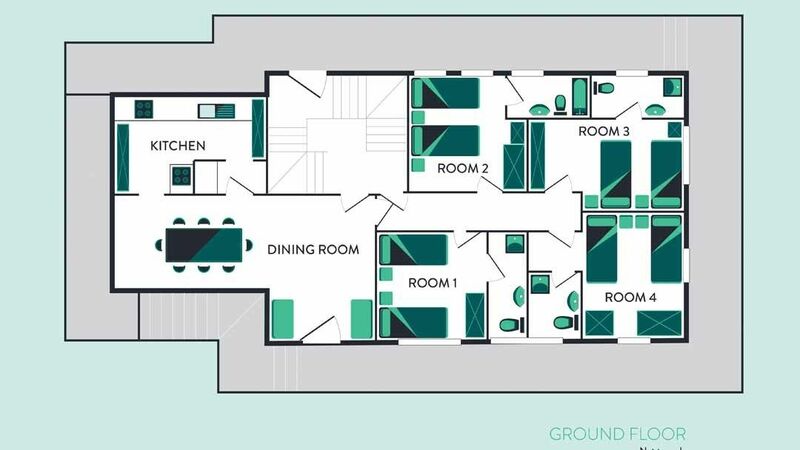 Twin room with private short bath (with shower attachment), WC and balcony (8). Two twin rooms with private shower, WC and balcony (9 and 10). Second floor - all rooms with sloping ceilings. 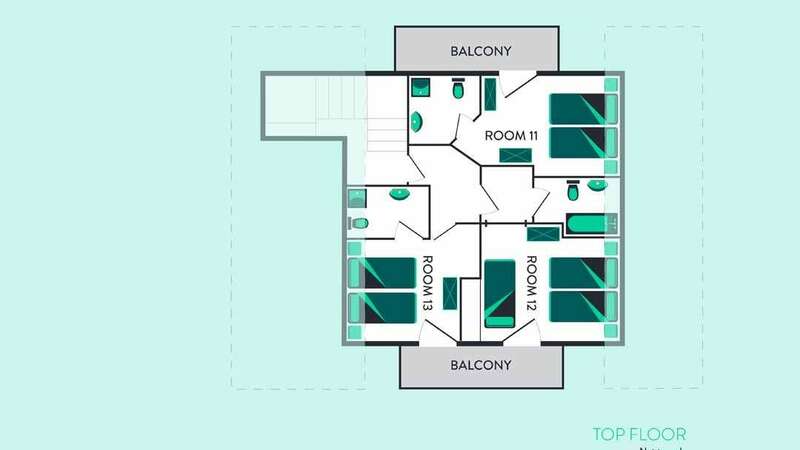 Twin eaves room with extra bed, private bath (with shower attachment), WC and balcony (12). 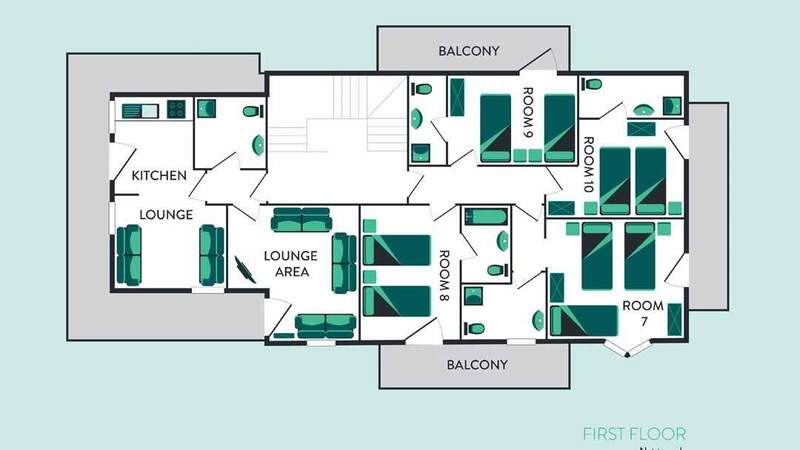 Two twin eaves rooms with private shower, WC and balcony (11 and 13). Cots: Rooms 3, 4, 7 and 12 will fit a cot. Rooms 2, 8 and 11 can fit a cot but space may be restricted. Cots are available to hire, free of charge. Please request at time of booking. Prices are subject to change. All bedroom doors are lockable. Please note: Public areas will be cleaned each morning. Rooms will be cleaned twice a week. All linen and towels are provided. Please note: Adults' evening meals come with house wine, which is free-flowing until coffee is served. Crystal staff live in the chalet. Canazei is on the Sella Ronda circuit, giving 175km of pistes to cover. Most of it caters for intermediates and, with the aid of improved lifts, the whole domain is easily accessible. Canazei itself is quite large, but maintains its charm and traditional appeal. The local skiing is easy, but all the slopes rely on one lift from the village and this can create queues. There is one run back down, but that can often be closed due to a lack of snow. The village itself has decent accommodation (hotels and chalets), a good range of shops, bars, clubs and restaurants - après-ski can be lively. One slight failing of the smaller Italian resorts is a lack of foreign language spoken in ski schools and Canazei is no exception. The childcare available is also fairly minimal. 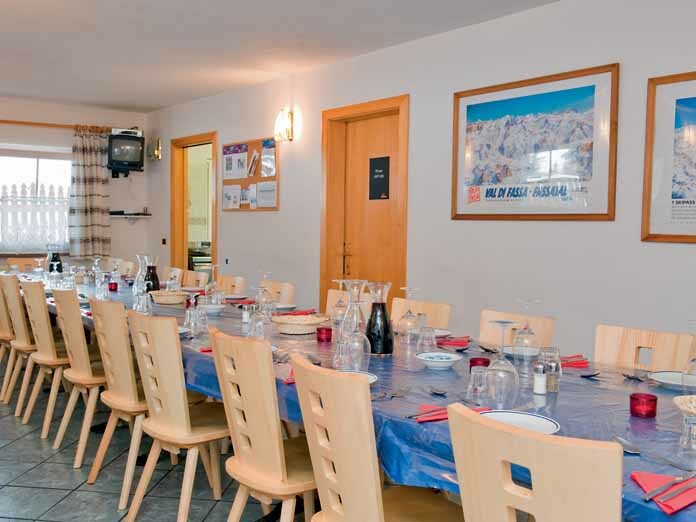 Overall, Canazei is a less well-known resort that offers good lower ability skiing on the Sella Ronda and plenty to do off the slopes. Verona has the nearest airport, two and a half hours away.